Study: San Diego has one of the shortest commute times in U.S.
Do you think your commute time around San Diego is horrible? A Trulia.com study lists some of the worst and best commute times in America and guess which list San Diego falls under? 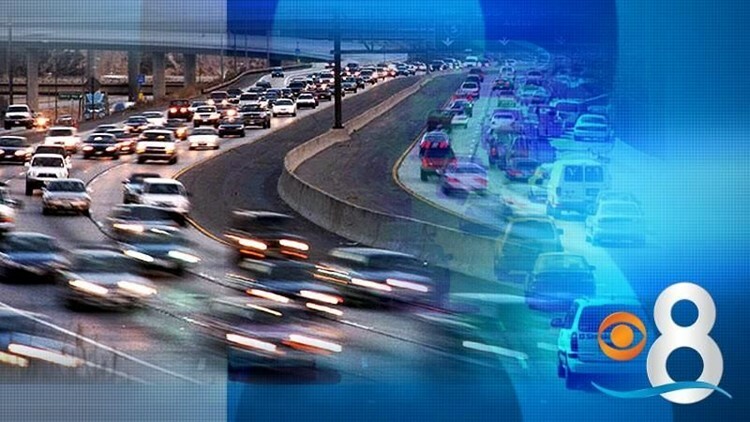 SAN DIEGO (CBS 8) - Do you think your commute time around San Diego is horrible? A Trulia.com study lists some of the worst and best commute times in America and guess which list San Diego falls under? The study measured drive times in major metropolitan areas and found New York City to have the worst commute time with an average one-way time of 34.8 minutes. The city with the best commute time in the U.S. went to Buffalo, NY with an average time of 20.3 minutes. The report also cites the bigger metro areas like New York, Washington D.C. and Chicago tend to have longer commute times because of population density and road congestion, while smaller metro areas experience the opposite. San Diego ranked 9th on the list of shortest commute times in the U.S. with an average time of 23 minutes. Overall, the study states commute times in the 50 biggest U.S. metro areas have risen an average of .8 minutes since 2009. What about the big metro city north of San Diego that normally gets a bad rap for traffic congestion? Surprisingly, Los Angeles didn't make the top 10 on either the worst or best list of commute times. Angelinos spend an average of 27.6 minutes getting to work, just a little bit over the national average of 27.2 minutes. View the top 10 on both lists below and don't forget to check out your traffic commute by visiting CBS 8's Traffic page.